Following his graduation in 2001 from Leeds University with a Human Biology degree, Paul gained his sports massage and personal training qualifications. He then embarked on further study at Nottingham University where he graduated in 2007 with a first class Physiotherapy degree. After 5 years working through varying specialities within the NHS, he secured a senior position as a Specialist Children’s Physiotherapist where he currently works part-time. As well as working in the NHS Paul has also worked for a number of years private practice. Working in two different environments has been immensely valuable to him, not only developing a deep knowledge of many injuries and conditions affecting all ages, but also a repertoire of treatment ideas to aid recovery. Paul is a member of the Chartered Society of Physiotherapists and is registered with the Health and Care Professions Council. Given he works with children, he also has the necessary Criminal Records Bureau checks. As someone who enjoys keeping himself fit and taking part in various sports and challenges, he has personal experience of varying injuries and the necessary rehab processes which follow, therefore can fully empathise with his patients. Consequently Paul specialises in end-stage-rehab, pushing his patients back to, and beyond their previous levels of function and achievement. Wetherby Physiotherapy Practice now has a Specialist Children’s Physiotherapist working for the team. Paul has been working within the NHS for nearly 10 years and over the last 5 years has specialised in the treatment of children aged 0-16 years old. 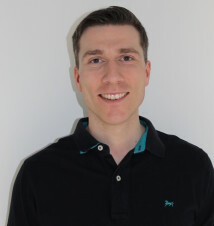 Given the broad age range of patients, Paul has vast experience in assessing a multitude of conditions which affect children’s backs, hips, knees or ankles, however also specific conditions such as Developmental delay, Talipes, Jeuvenile Idiopathic arthritis and post fracture/surgery rehabilitation. He also understands the necessary treatment strategies required to ensure resolution. If you have any concerns about your child’s physical health you can feel safe in Paul’s hands that he will assess, diagnose and give you the right information to help your child. If required, Paul will communicate with your child’s GP to ensure any further tests or investigations are carried out. Please contact the clinic for further information.